I’ve been settled into my new house for a month now. If you saw my last post you know that most of my toys are unpacked and the man-cave is looking great. I don’t know if I’ll start posting reviews on the regular again but I’ve got a little time to kill this evening and I got a cool new figure today so I thought I’d write my first review in the new house. Harley Quinn first appeared on Batman: The Animated Series in the early 90s. I was a fan of the show, and though I didn’t watch it religiously, I liked Harley Quinn right away. She had a fun, court jester style costume which worked really well for her role as a love interest/henchman of the joker. True, she was a little annoying but her outlandish enthusiasm suited her since she was supposed to be absolutely nuts. Harley was brought into the main DC comics universe in 1999 by way of an original graphic novel. I found the comic book version even better than the animated version. She wasn’t as goofy and you could read her dialogue free of the annoying animated series voice. Bruce Timm’s animated jester design translated perfectly to the more detailed comic book medium courtesy of top-tier artists like Jim Lee and Terry Dodson. 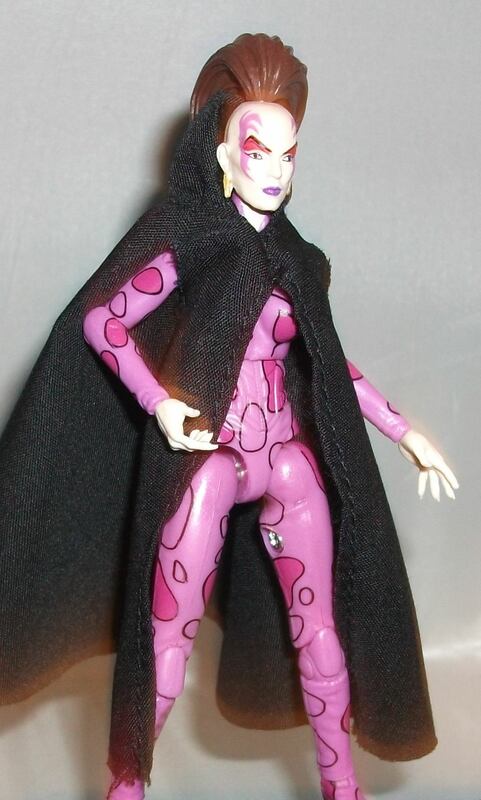 I had wanted to add a Harley Quinn action figure to my collection for many years but the cartoon based ones didn’t fit in with my existing DC crew and I missed out on the comic figure based on Jim Lee’s popular “Hush” storyline. She was a little too pricey for me on the secondary market and for years that Hush figure was the only 6″ Harley Quinn option. Oh how times have changed. I finally got my first Harley Quinn figure in 2014. It was based on her “edgy” New 52 redesign. 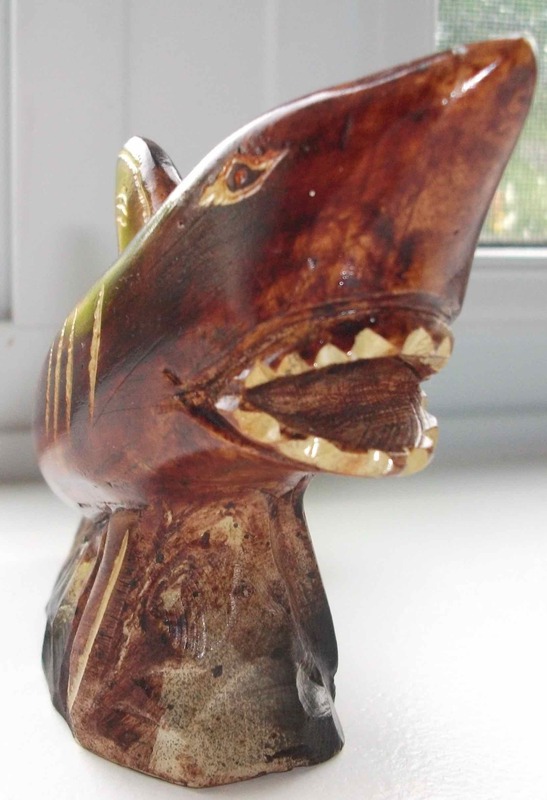 I was happy with the figure at the time and gave it an 8 out of 10. If I were to review that figure today I’d likely give it a 4. There are far superior options out there now, it constantly falls over, and I just don’t care much for that costume choice. A year later I got a new Harley based on her 2013 roller derby redesign. It was a much better costume which was designed by artist Amanda Conner. 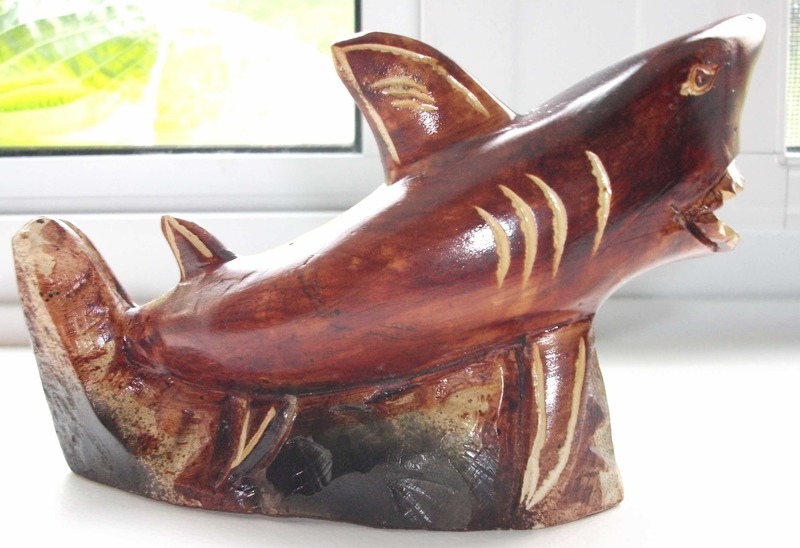 I was very pleased with that figure at the time and gave it a 9 out of 10. Nowadays I’d probably bump it down to a 7. The figure had a lot of good attributes, such as removable roller skates, but the weird face and stumpy neck were not among them. 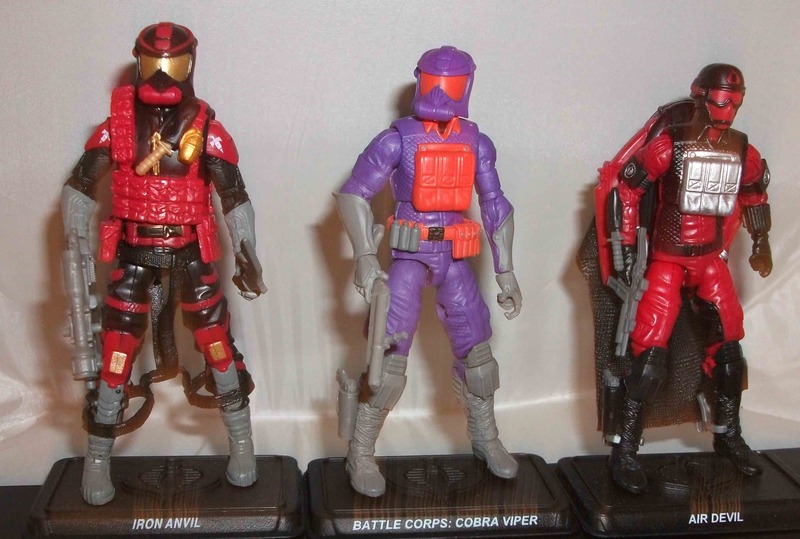 In my review of Derby Harley I mentioned that I’d been hoping for figures based on Amanda Conner’s art for years and it seemed as though that was as close as I was gonna get. Well here we are just a couple of years later and DC Collectibles has offered up a whole series Harley figures based on Conner’s distinctive artwork (I’m still waiting on Power Girl though). I’m so happy to see Conner get her due. I’ve been a big fan of hers since 2002’s “The Pro”. I wish she still drew comics on the regular but it seems like she’s content just doing covers and writing these days. 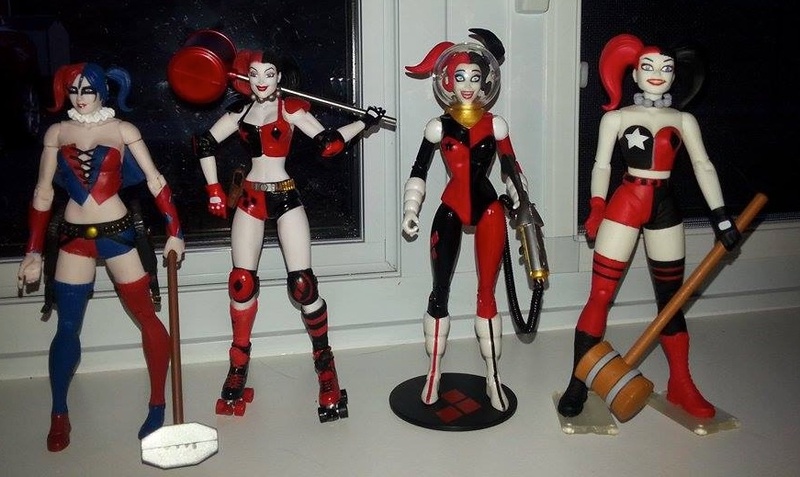 I eagerly pre-ordered all 4 Conner Harley Quinns when they were offered on BigBadToyStore about a year ago. However, once the initial excitement wore off I calmed down and questioned whether I really needed 4 more Harley Quinns…because I don’t think I even like this character anymore. I have tried on several occasions to read Harley Quinn comics and I just can’t get into them. They’re stupid. Too stupid for me. I really wanted to like them because of my past affection for the character but I just can’t. On top of that, the character’s popularity seems to have reached a critical mass and she has completely saturated the market. She’s everywhere. But the straw that finally broke the Harley camel’s back was that goddamn turd of a Suicide Squad movie. After that I was done. I cancelled my figure pre-orders. Harley hate aside, I still love Amanda Conner so I told myself I’d let myself pick up 1 of the 4 figures once I saw them in store and decided on a favourite. 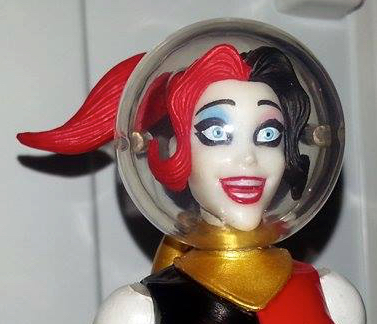 They recently hit stores in my area and the winner was spacesuit Harley. 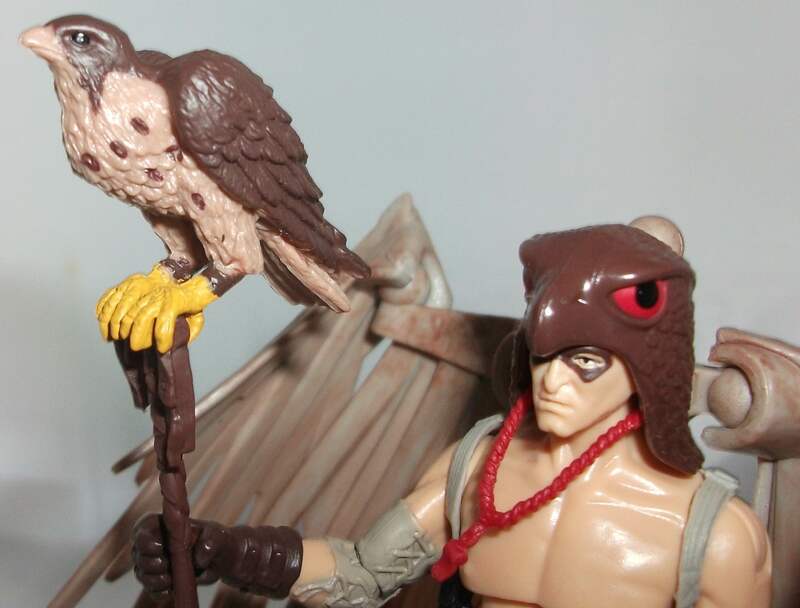 This figure is based on a specific storyline (as are the other figures in this series) which I did not read. 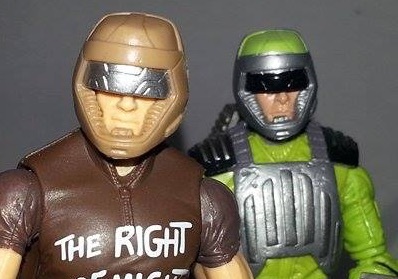 The entire body design is faithful to Conner’s artwork but the Conner-ness is most evident in the face. She draws such beautiful and expressive faces so this is where the sculptors really needed to nail it and I think they were successful. 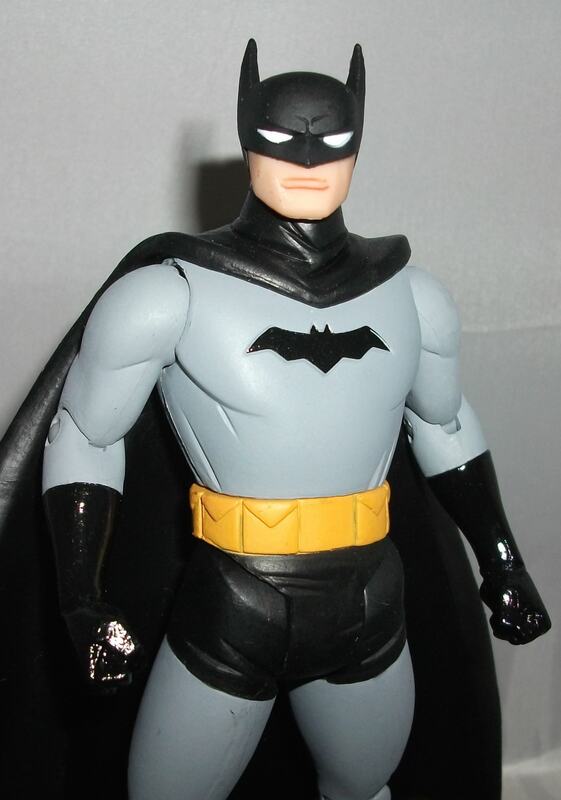 This type of facial sculpting is what was sorely lacking on the derby figure. The wide eyes, exuberant smile, and flowing hair all do Conner justice and the delicate paint apps seal the deal. This figure has a vibrant paint job, plenty of articulation, and fun accessories. 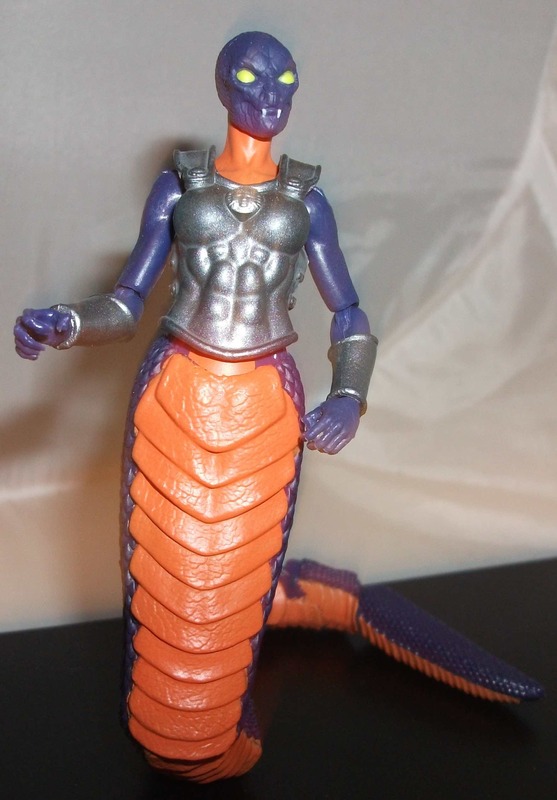 She comes with a display base, removable space helmet, a cork space rife with a stretchy phone-cord like rope, and some sort of evil space pizza. The pizza doesn’t mean much to me but I’m sure somebody out there will appreciate it. This figure has mended enough of the damage done by Warner Bros’ Suicide Squad that I may even allow myself to buy one more from this series. I may not feel this way forever but, as of right now, this is the Harley Quinn figure I’ve been waiting for. 10 out of 10. For my birthday last week my brother Doug bought me Ms. Marvel and Spider UK from the latest wave of Marvel Legends. Each of them came with a piece of a build-a-figure Sandman so, between them and the Shocker, Green Goblin and Spider-Man 2099 I recently purchased for myself, I’m only one leg away from a completed Flint Marko. 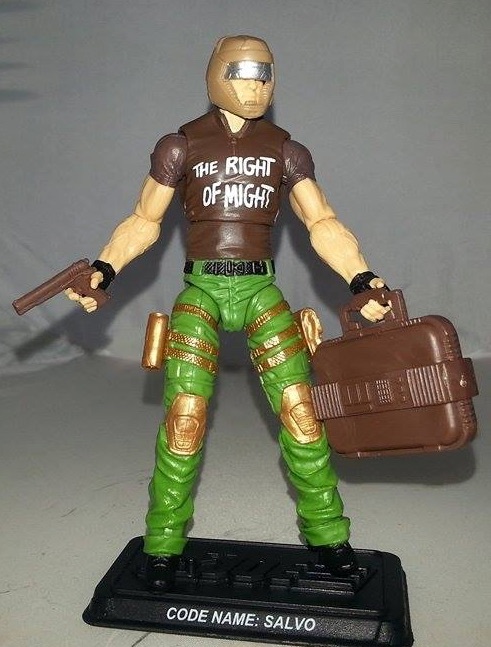 That means I’ll be on the lookout for the Jackal, which is not a figure I would have bought otherwise but, since I need it to complete Sandman Hasbro is gonna get another thirty bucks out of me. Damn them and their clever ploys. 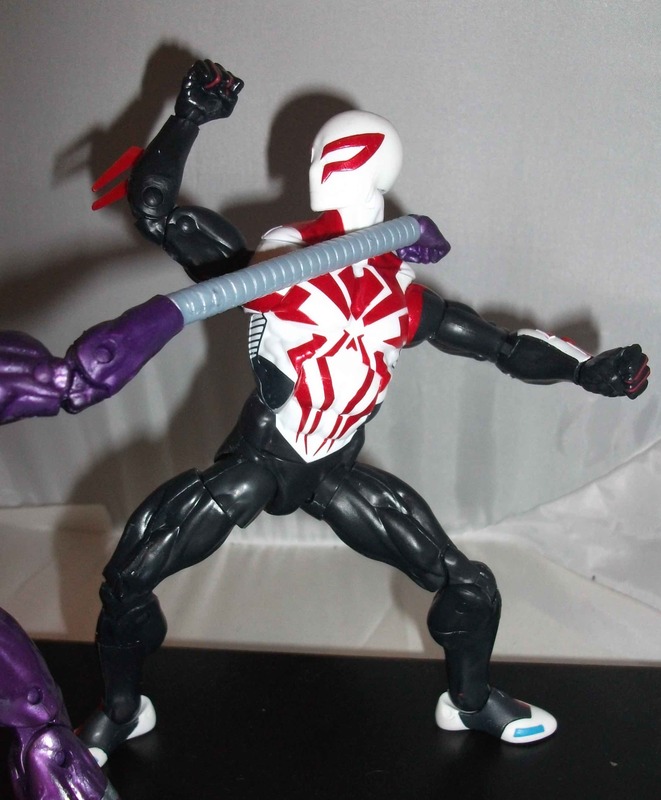 After acquiring 2099 and Shocker I was tempted to skip the rest of this wave. 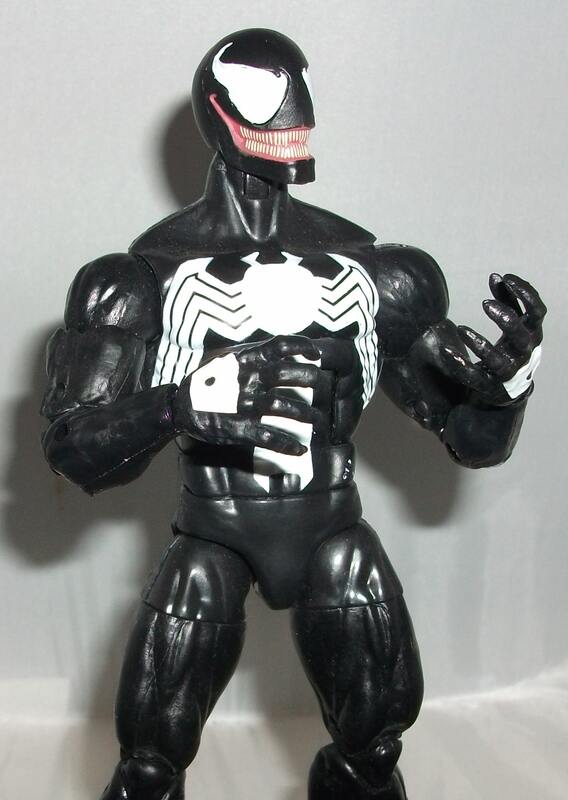 I love the Green Goblin as a character but I don’t like the new Legends figure, I know nothing of Ms. Marvel and I’m not interested in learning, I never liked the Jackal because he looks idiotic, Symbiote Spider-Man is rather bland and I’ve bought multiple variations of it in the past, and Spider UK is arguably just another Spider-Man figure. 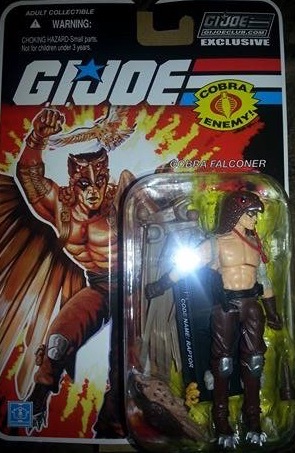 However, when it comes to action figures my resolve is weak. I caved on Goblin right away because it’s likely the only Goblin we’ll get for the foreseeable future. It’s really only the face I don’t like and it may grow on me in time. When Doug asked what I wanted for my b-day I informed him that Ms. Marvel would be suitable choice. It saved me from spending my own money on her and prevented me from missing out on her entirely. She seems to be a popular character these days so I was worried if I didn’t get her now she may be hard to find later. It was less about her and more about the crucial Sandman piece she came with (the torso). I also told him Spider UK would make a decent gift. He’s a good dude so he got me both of them. If Spider Uk was just Peter Parker in a fancy outfit for adventures abroad I would not have wanted it. But Spider UK is actually a completely different character. He comes from an alternate universe much like Spider-Gwen or Spider-Man 2099. 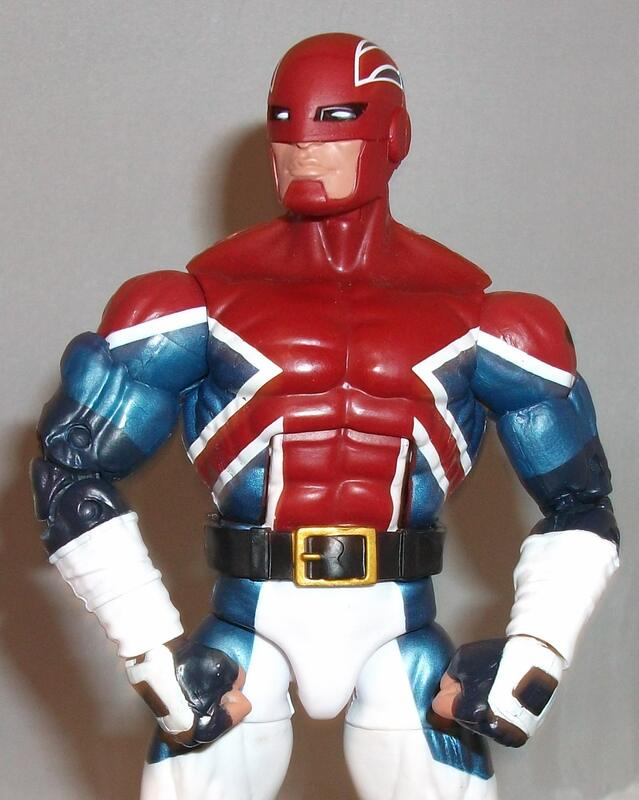 His name is Billy Braddock and he’s a member of the multi-verse spanning Captain Britain Corps. Really he’s as much Captain Britain as he is Spider-Man. He supposedly has the powers of both men (minus Peter’s spider sense) which would mean he has superhuman strength, speed, stamina, durability, reflexes, and the ability to fly at supersonic speeds. In 2014 there was a storyline published by Marvel Comics called Spider-Verse which saw the Spider-Men (and women) from every alternate reality team-up to battle against a group of vampire-like villains called the Inheritors. That was the storyline that introduced a bunch of new Spider-Man variations including Billy here. He was the leader of the group of misfit spider people until the one-true Spider-Man took charge. The group proved popular enough to get their own series called Web Warriors after Spider-Verse ended. Sadly the book sucked so it was cancelled after only one year. To the untrained eye this might look like just another Spider-Man figure but there a few key difference which set him apart. 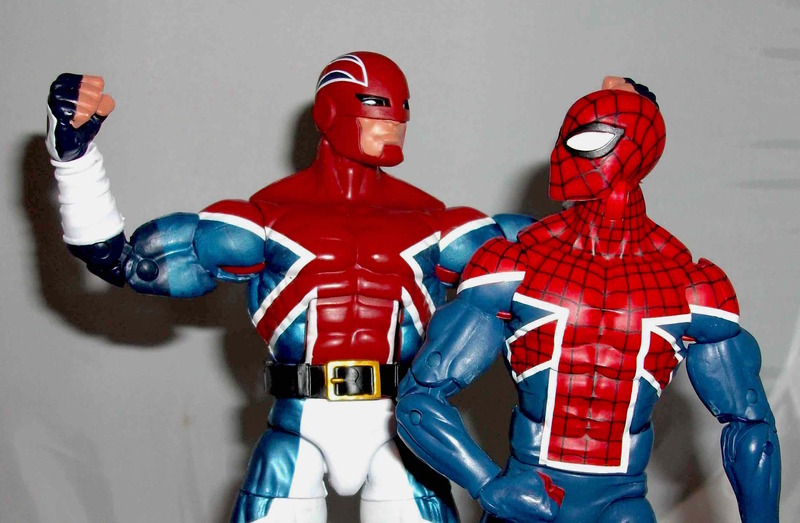 When compared to the default Peter Parker: Spider-Man Marvel Legends action figure you’ll notice that UK is quite a bit buffer. 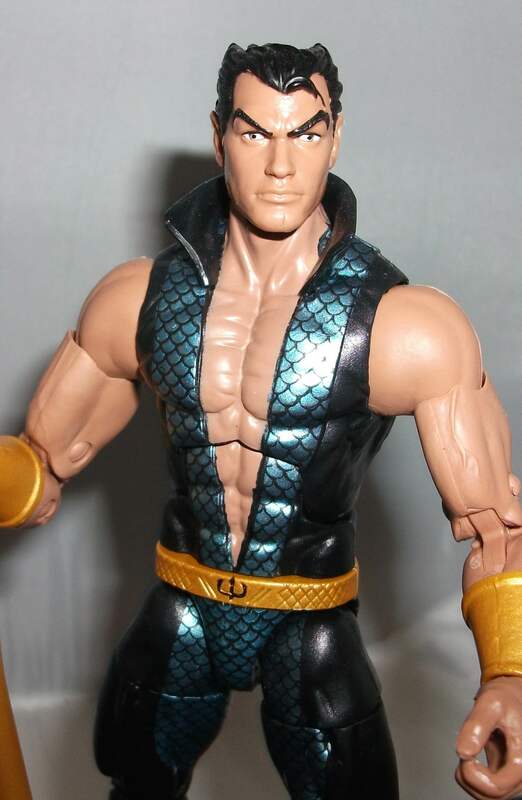 I believe this is a brand new body sculpt and it’s a great base for future tough guys. Clearly Billy hits the gym more than Peter does. 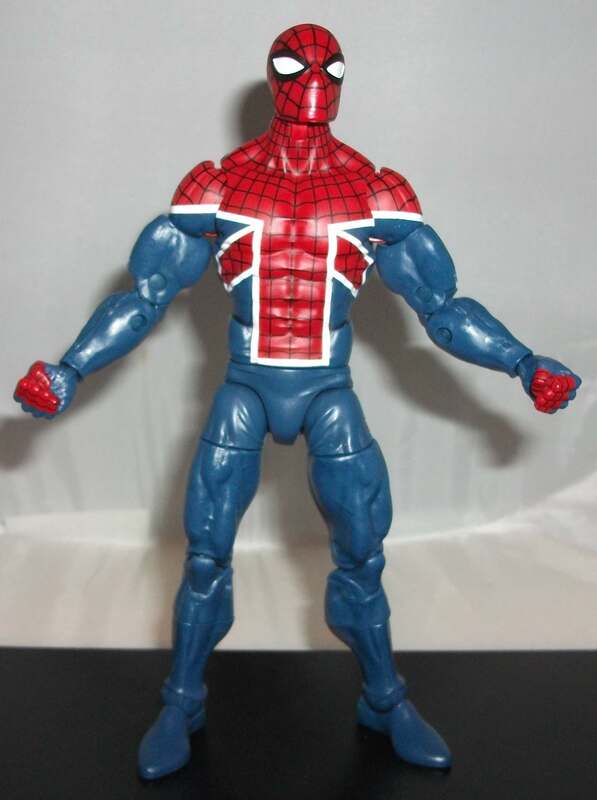 Also of note, the blue and red are darker shades, the web pattern is different, UK has smaller eyes, lacks red gloves and boots, has no spider emblem on his chest, and features a Union Jack pattern in his costume akin to Captain Britain. I wish he had a more CB like helmet as opposed to a standard Spidey mask to further differentiate him but there are enough differences regardless that I don’t feel like I’ve been duped into buying the same toy over again. 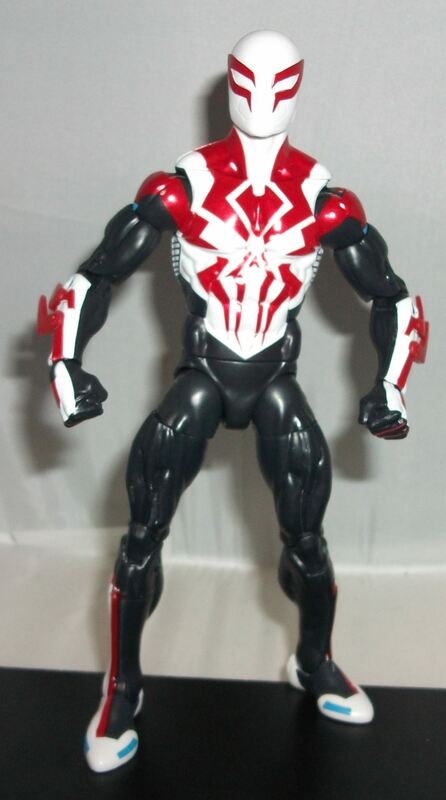 I probably shouldn’t like this figure as much as I do because it is so similar to the dozens of other Spider-Man toys I have but knowing there’s a unique character under the mask makes him much cooler than he would be if this were just an alternate costume. If I were a kid I would want to play out the Spider-Verse storyline and this figure would be essential. This is a solid figure with crisp paint apps and plenty of articulation. 8 out of 10.
p.s. I apologize for the extra crappy photos today. My camera refused to agree with me. 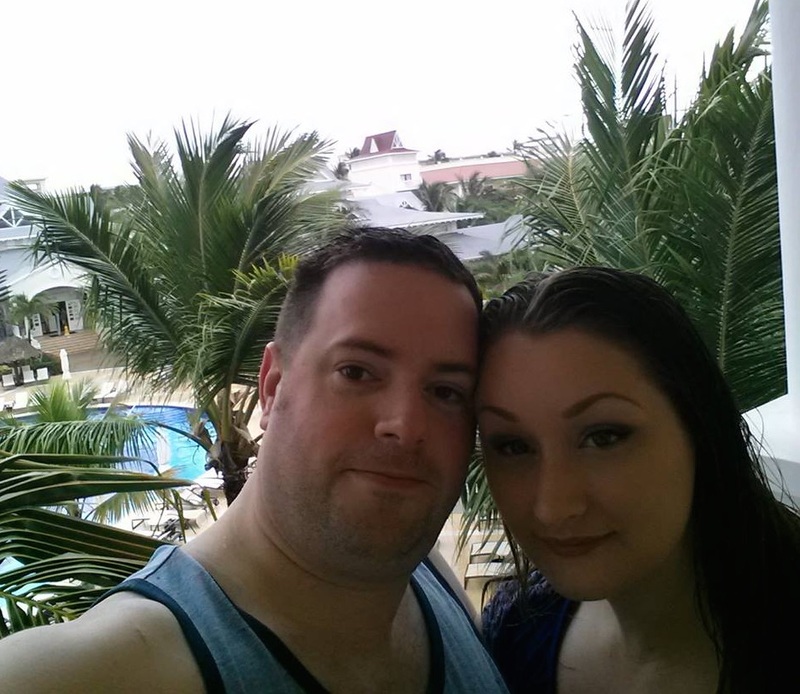 Last week I turned 39. I’ve gotten old and some days it really feels that way. But that doesn’t mean I can’t still get excited about opening new toys on my birthday. My brother Doug got me a couple of Marvel Legends and Vanessa got me Sixshot (along with a bunch of other stuff…I’m spoiled). 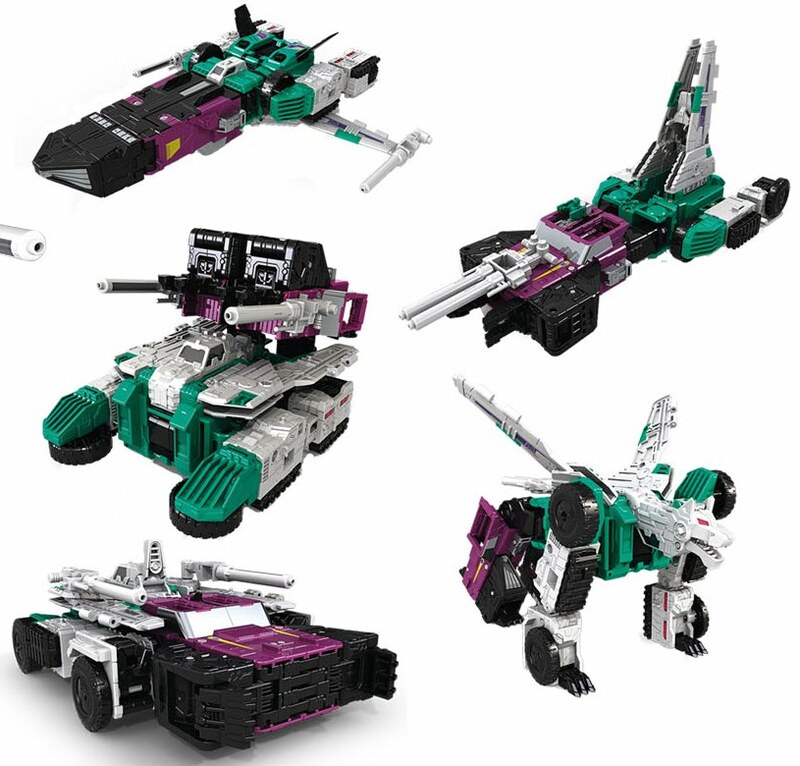 Sixshot was unique because he was the first six-changer with six distinct modes: robot, tank, spaceship, laser gun, off-road vehicle, and wolf. Prior to him the most complex bots were triple-changers like Blitzwing and Astrotrain. Sixshot made appearances in the Marvel and Dreawwave Transformers comics but he never did anything that left an impression on me. That isn’t surprising because characterization wasn’t Marvel’s strong suit (as far as Transformers were concerned) and Dreamwave didn’t hold the license very long. Since 2005 the Transformers comic license has been held by IDW and they have produced some amazing comic books. 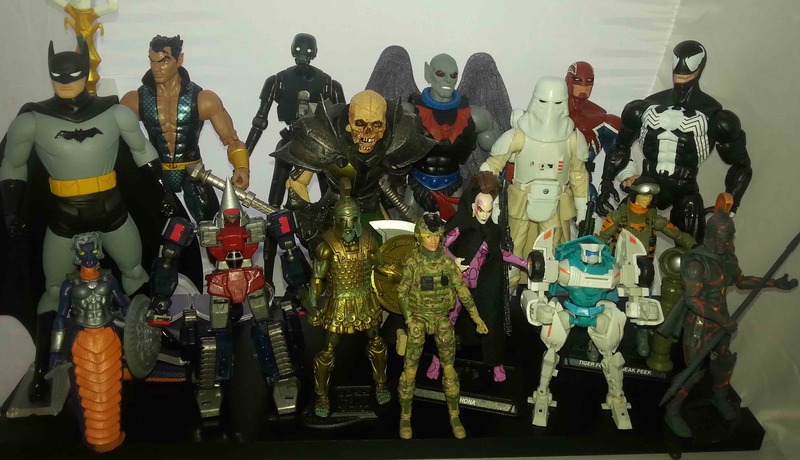 They’ve been able to infuse so much character into these robots that many have gone from obscure toys nobody remembered to beloved fan favourite characters. Sixshot has appeared in a number of IDW comics, including his own spotlight issue published in 2006, but I don’t feel that he’s truly received the “IDW treatment”. IDW’s comics have improved so much since those first few years so I’d like to see Sixshot return for a more character-driven story. He’s a badass that turns into six things but other than that he’s still basically a blank slate. Since I didn’t grow up playing with him, and because he hasn’t been properly IDW’ed, I don’t have any attachment to this character. That’s why I was willing to leave this toy behind when I saw it at Walmart a couple of weeks ago. I had been looking high and low for the new Titans Return branded Megatron when I stumbled across Sixshot. 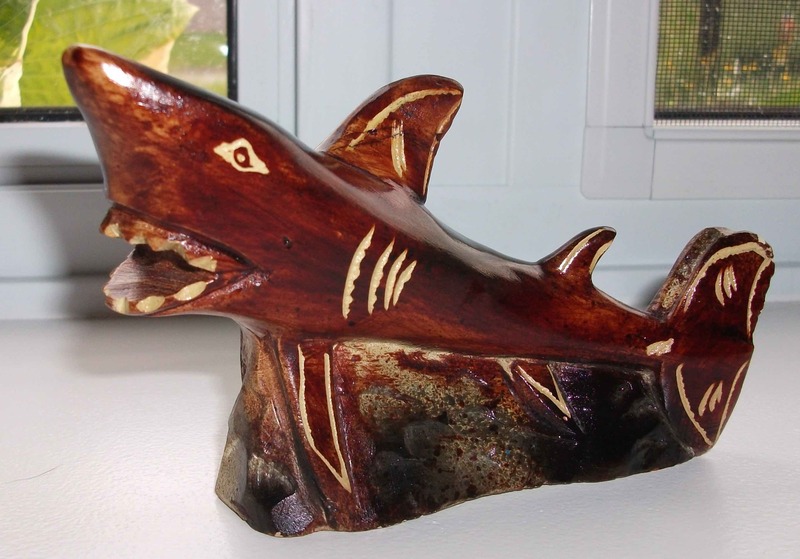 He looked really cool but I couldn’t justify spending $60 on him. 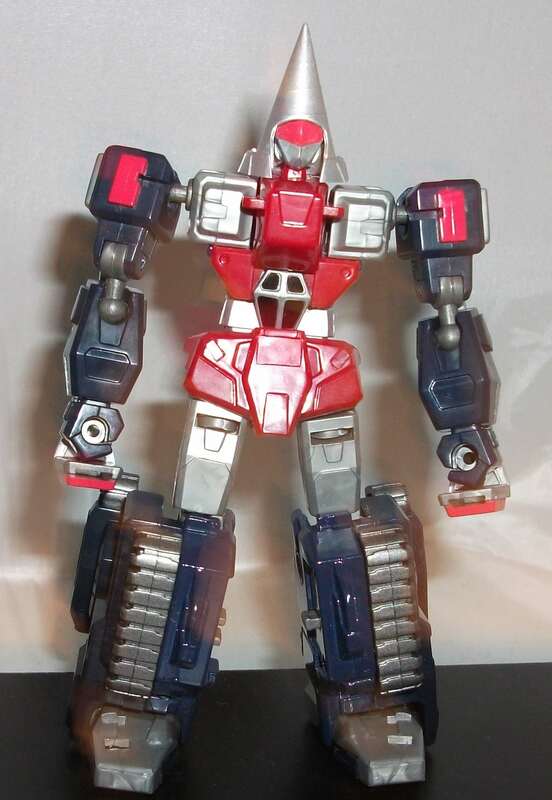 Maybe if he was a character I loved (I’ve paid much more than $60 for certain Transformers) or if there was something amazing about him I could have justified it. The fact that he transformers into six things doesn’t qualify as amazing in my book because I never transform my toys out of their robot modes anyway. 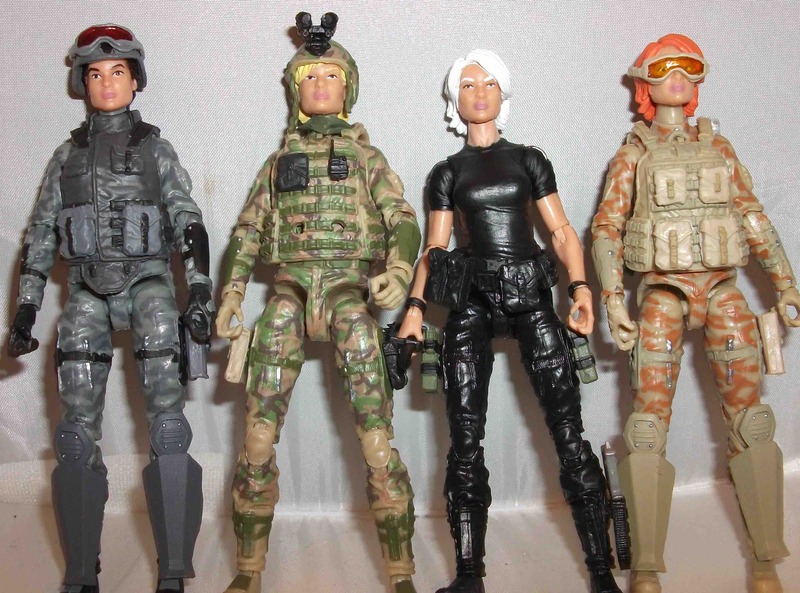 If anything, six modes is a detriment to the toy because it means the designers have to cram a bunch of stuff into it that will likely hurt the aesthetic or hinder the articulation. I hated to leave him behind though because I know all it would take is one excellent issue of the comic to make Sixshot a must-have toy. Thankfully Vanessa saved me from my conundrum by throwing him in the cart and declaring him a birthday present. She gave him to me on my actual birthday a few days later. 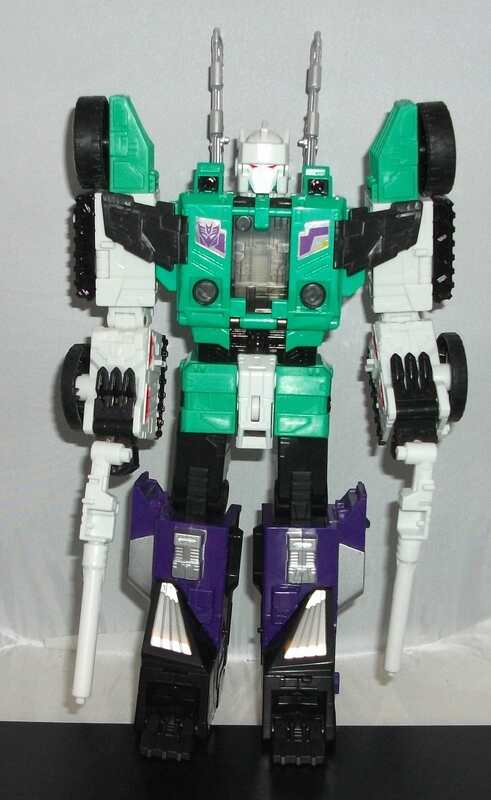 Sixshot is a “LeaderClass” toy so that means he stands about 10 inches tall; taller than most Transformers on my shelf. He’s bulky and has a good weight to him. He’s got wide feet and his weight is evenly distributed so he stands firm and solid. Design-wise he looks great. 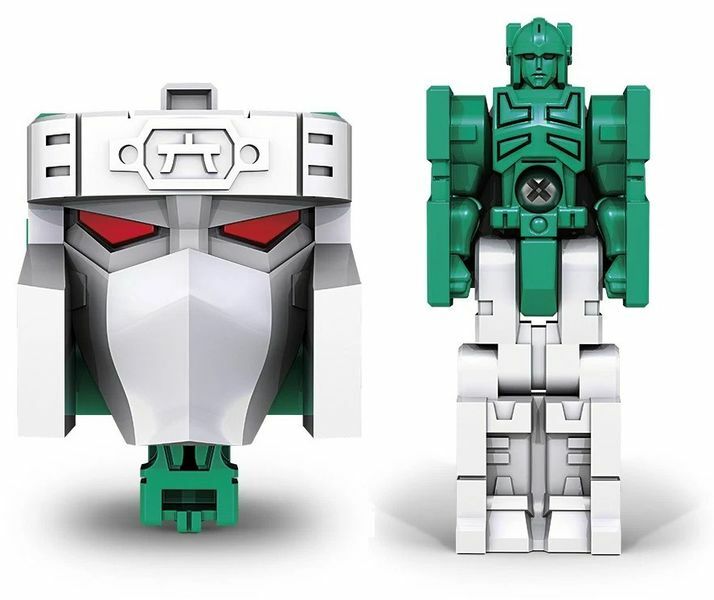 He’s got a blocky form that is very faithful to the original toy and animated appearance. He has a faceplate so it should be hard to convey emotion but Sixshot looks suitably pissed off with his angular red eyes (see pic below). 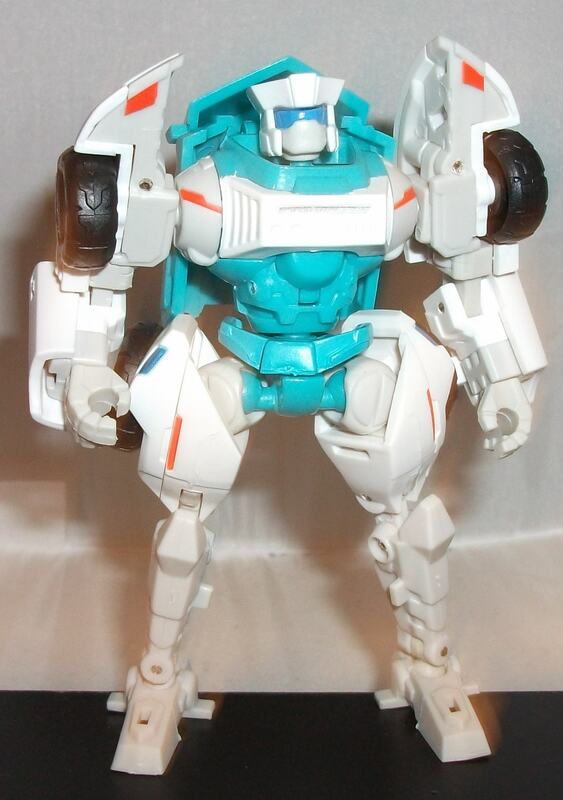 I’ve never held the original toy but apparently the only articulation it had in robot mode was at its shoulders. In that regard this figure is a marked improvement as it has articulation at the neck, shoulders, elbows, hips, knees, and feet. However I do find that if I mess around with his legs too much he tends to get wobbly so mine will be displayed quite statically. 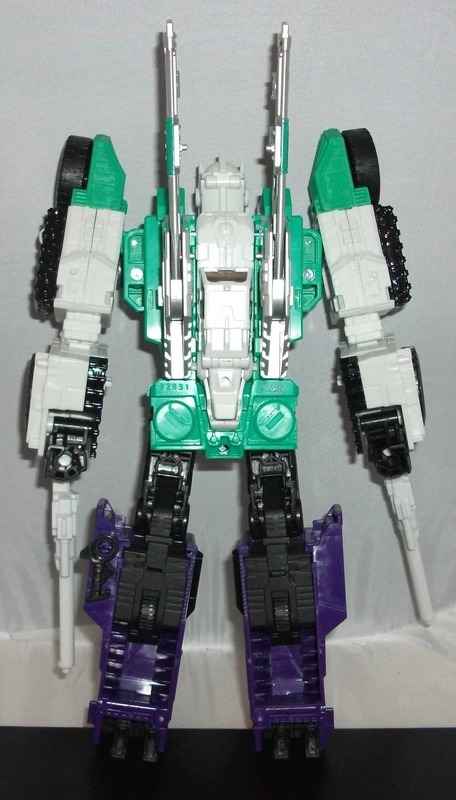 This Sixshot was released as a “Titans Return” figure which means he’s a Titan Master. When I was a kid they were called Headmasters. The concept is that their heads transform into even smaller robots. I thought it was a dumb idea then and I still do. Targetmasters were okay, their guns turned into robots and that felt like added value because you’re getting two characters for the price of one, but in the case of headmasters what am I supposed to do with this guy’s body once I take his head off? (I know, turn it into a car but I don’t care about vehicle modes). Sixshot’s head turns into a character named Revolver which has no articulation or paint apps and is completely pointless. 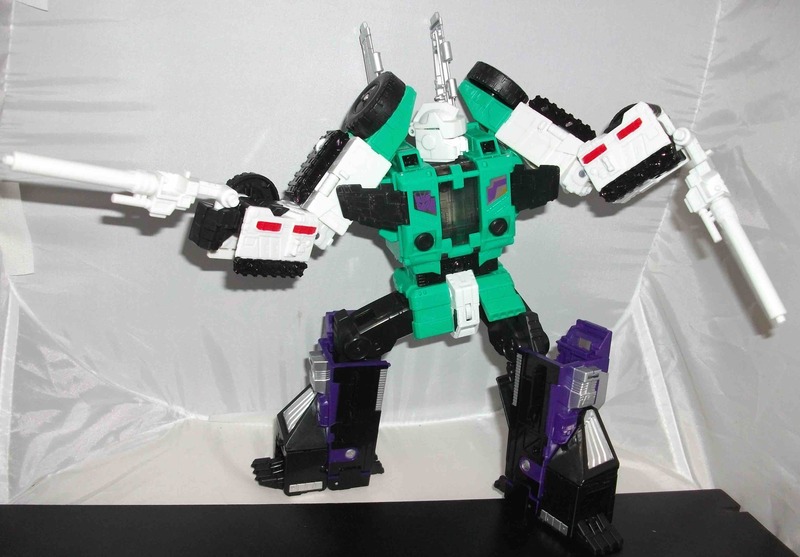 Sixshot’s other accessories are two wimpy looking pipes that are supposed to be “hypersonic concussion blasters”. Meh. 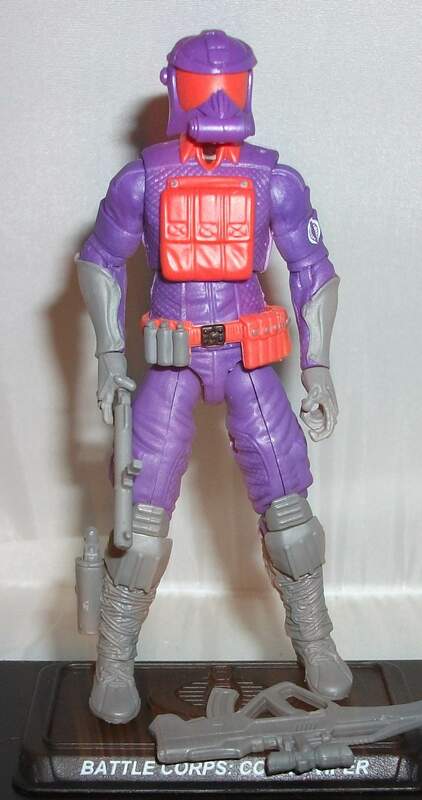 Overall this is a good figure with a cool design and an attractive color scheme that separates him from the pack. But silly gimmicks, bad accessories, a high price tag, and poor quality control (the left wrist on mine doesn’t stay in place and hangs limply) drag it down a couple notches. 7 out of 10. Way back in 1992 Marvel decided to launch a comic book series about a future Spider-Man set in the year 2099. They also launched 2099 books focusing on the Punisher, the X-Men, the Fantastic Four, and others. Spider-Man 2099 was the only one I was interested in so I never read any of the other titles. Though years later, long after it was cancelled, I was drawn into collecting Ghost Rider 2099. I may have given the other 2099 books a chance back in the day had I actually liked Spidey 2099 but unfortunatley I didn’t. I really liked the concept of a future Spider-Man facing off against future versions of his greatest villains, there was lots of potential there, but I found it poorly executed. 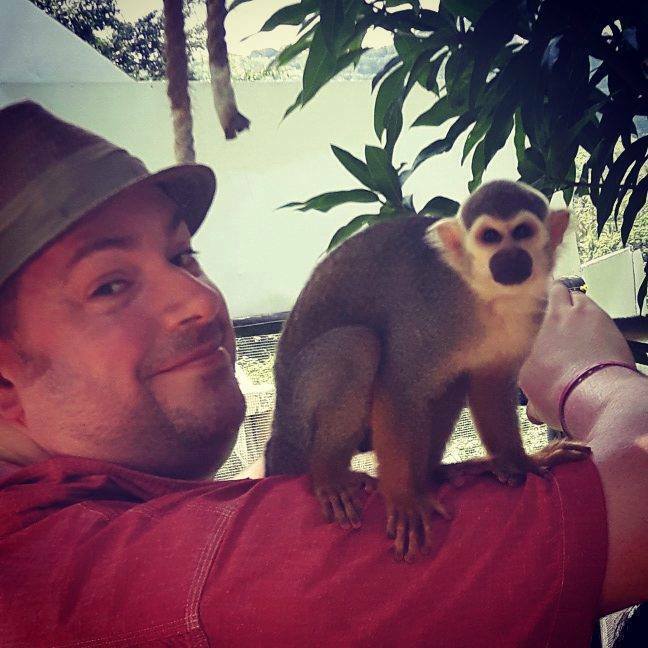 Peter David co-created the character with artist Rick Leonardi and he wrote 44 of the 46 issues. I appreciate that Spider-Man 2099 was David’s creation but I feel another writer could have made the stories more interesting so I wish someone else had gotten the opportunity to take a stab at it. I don’t say that lightly as Peter David has written some amazing comics, including the first Spider-Man comic I ever bought (Spectacular Spider-Man 119) that featured Black Cat vs Sabertooth which I still love to this very day. 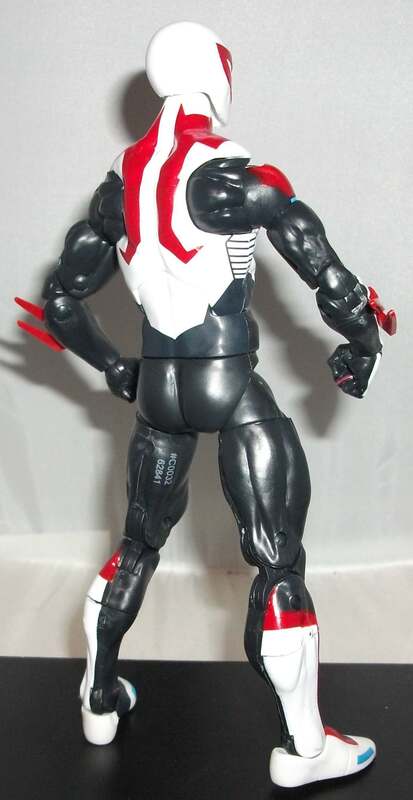 The Spider-Man of 2099 is Miguel O’Hara, a latino fella who works for a shady mega-corporation called Alchemax. When he tries to quit his job (upon discovering the shadiness) his boss doses him with something which leads to a series of unfortunate events; the end result being Miguel gets spider powers. 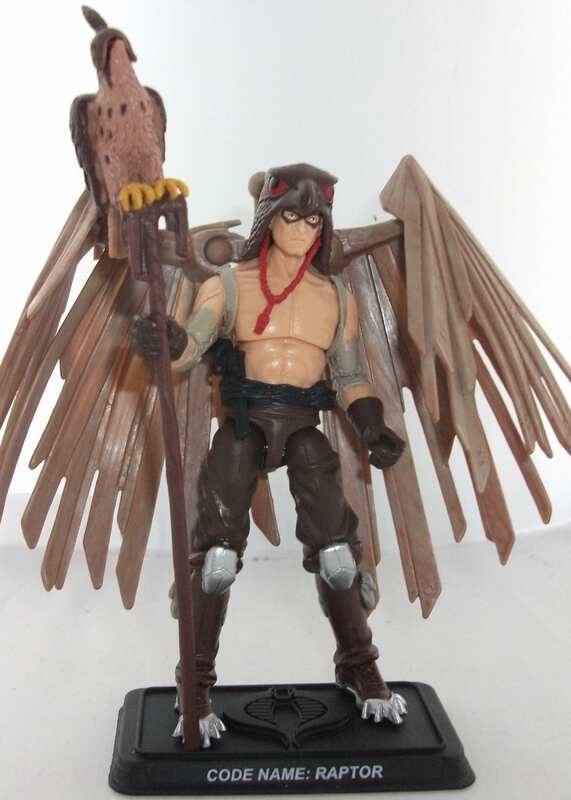 It’s been 25 years since I read those comics but as I recall Miguel spent the next bunch of issues battling against Alchemax, a robot cowboy, some lame Thor worshipping cult, and crappy future Vulture. The stories never wowed me and Leonardi’s art didn’t help matters (though I’ve really enjoyed some of his other work too). It takes a lot for me to quit collecting a comic (I just quit Spawn after collecting 267 consecutive issues…it also launched in 1992) but I dropped Spider-Man 2099 after only 12 issues. Even though the book didn’t live up to my expectations I always had a fondness for Miguel O’Hara and hoped to see him back someday. He’s had a few scattered appearances over the years but Spidey 2099 finally got a second shot at his own on-going series in 2014. I added it to my pull-list at Strange Adventures but unfortunately it was still written by Peter David and it was still hella-boring. Regardless, I stuck it out until the series was cancelled a year later. I got back on board when a third series was launched shortly afterwards under Marvel’s “All-New, All-Different!” campaign. 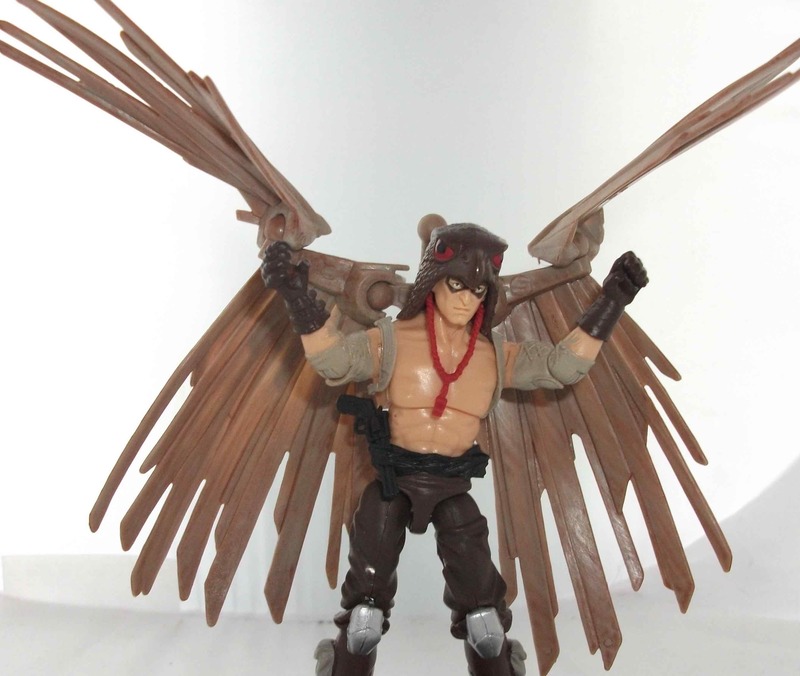 The third series featured Miguel wearing a brand new costume but that was about the only new thing about the series. It was still written by David and it continued on with the same boring storylines from volume 2. I bought it for a while but quit a couple of months ago. However, I just recently learned that Mr. David is the writer of a new Scarlet Spider book launching this spring. 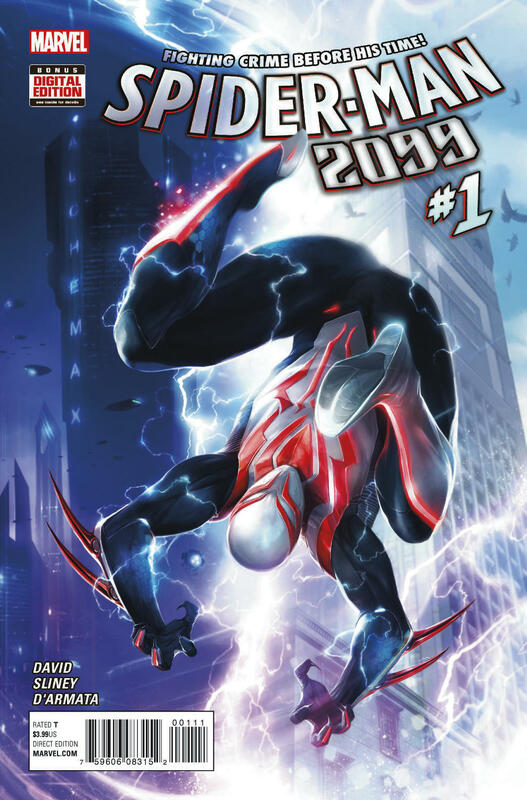 I haven’t seen anything official but that probably means that a new writer is getting a shot at 2099 or, more likely, 2099 has been cancelled again. In either case I may jump back on board to see how things pan out. Even though the books have never been very good in my opinion the character has always looked really cool. He wore the same costume from 1992 right up until the All-New, All-Different relaunch in 2015. It consisted of a metallic blue bodysuit with a red skull design and a web cape. Miguel supposedly had the costume in his closet because he wore it to a day of the dead festival once. It wasn’t a particularly spidery outfit but it looked great. I especially loved the mask with the open eye design. 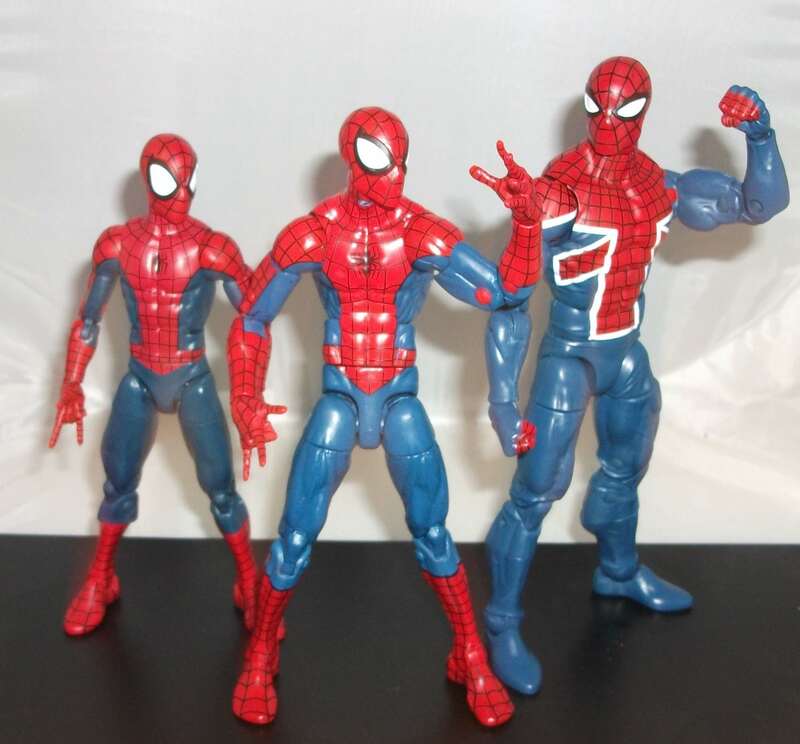 I have purchased several Spider-Man 2099 figures over the years in various sizes (12″, 6″, 5″, 3 3/4″) and they’re all sporting that same costume. 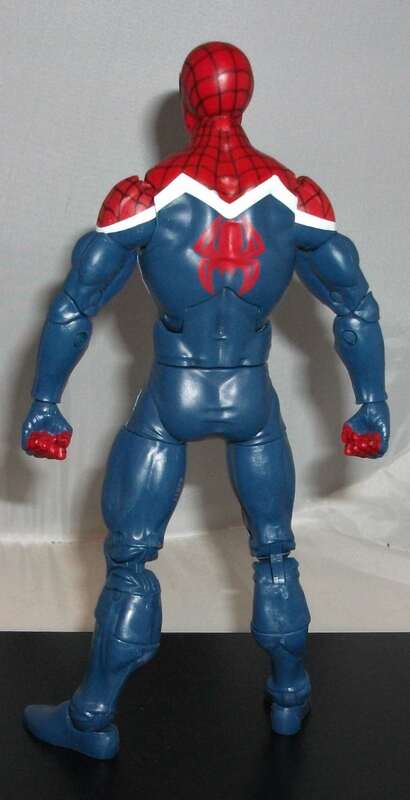 I don’t usually like costume changes for the sake of costume changes, it’s almost always a marketing gimmick to get fans to buy more comics and merchandise, but when I saw the All-New, All-Different redesign of Spider-Man 2099 I was sold. I guess I was ready for a change after all these years and I loved the bold contrast of the red, white, and black design. It retains all the best elements of the original, such as the open eyes, the abstract skull logo, and the Batman-esque arm spikes, but it just feels so…new and different. 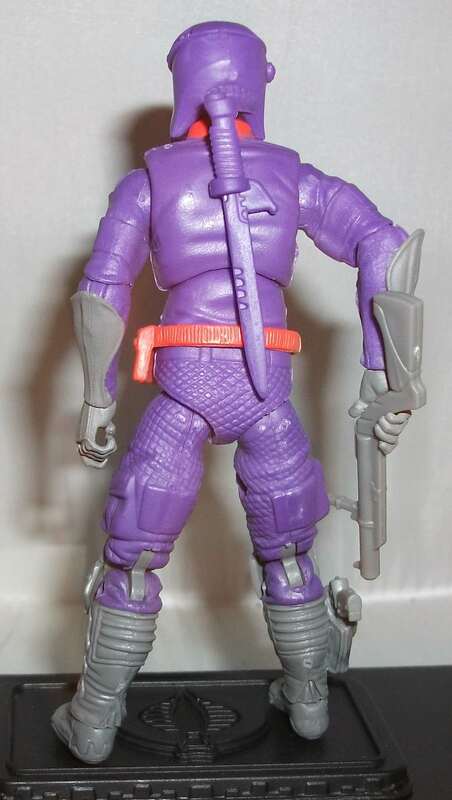 As soon as I saw the promotional art I thought this costume would make a great action figure but I didn’t imagine the book would last long enough to warrent Hasbro actually making it into a toy. 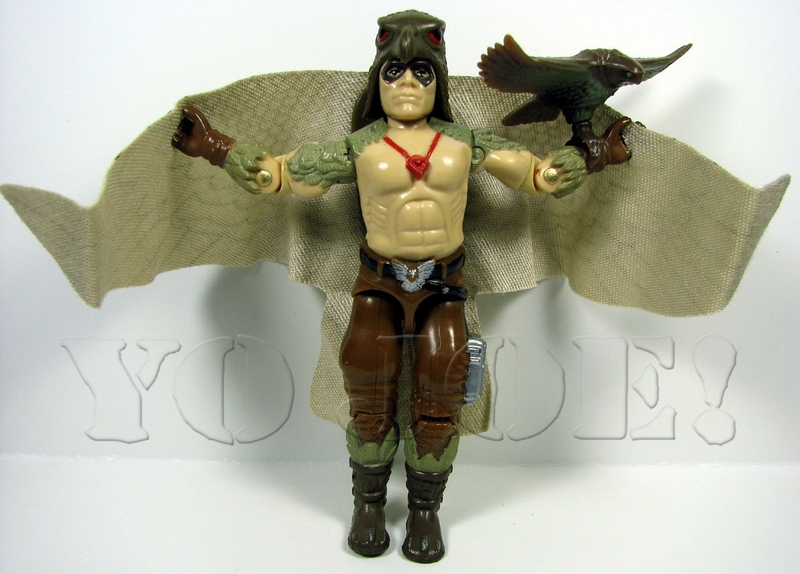 As it turns out the book probably is doomed but thank goodness we got this action figure beforehand. 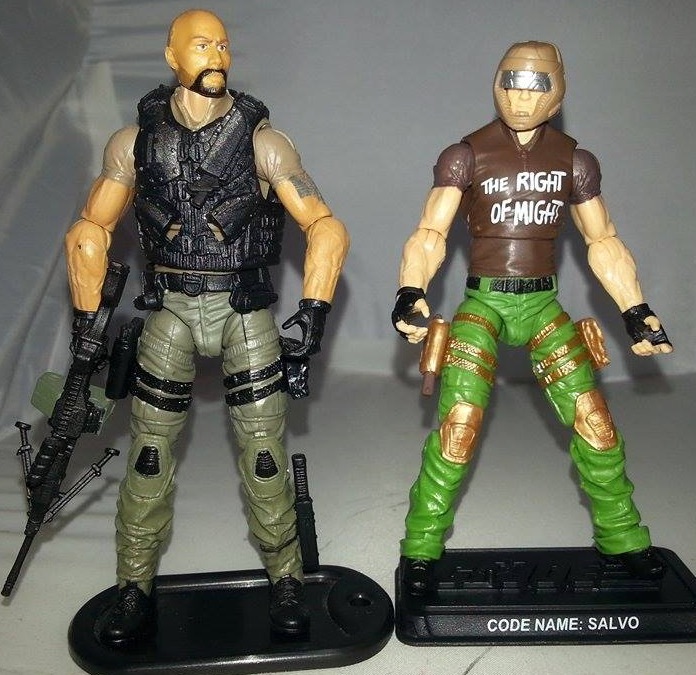 Hasbro has been absolutely killing it with their Marvel Legends figures for the past few years. I went from only owning a handful of them to buying a new bookshelf just to house them in a matter of months. I named 3 of them on my best of list for 2016 but honestly I could’ve filled the whole list with them. I feel that this Spidey I acquired a few days ago is an early shoe-in for my 2017 list. This figure feature an excellent sculpt. 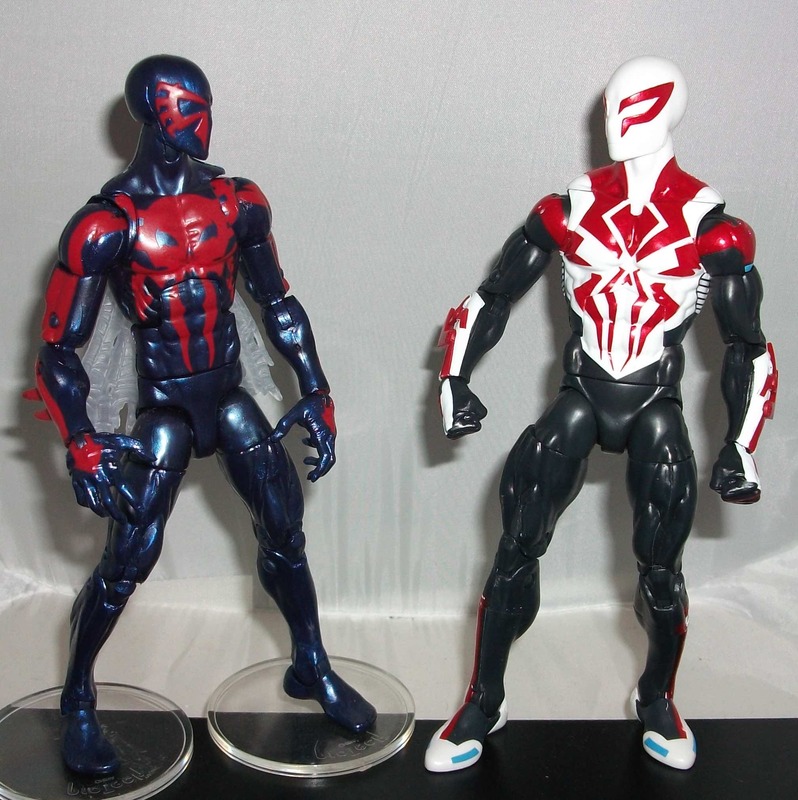 It’s not as slim as the previous Spider-Man 2099 Marvel Legend which is a good thing. The extra bulk makes him look much tougher and I feel Miguel should look more dangerous than Peter Parker: Spider-Man. The articulation is spot on with rocker ankles, double jointed knees and elbows, ball jointed hips, shoulders, and neck, swivel joints at the boots, thighs, wrists, and forearms…what more could you want? 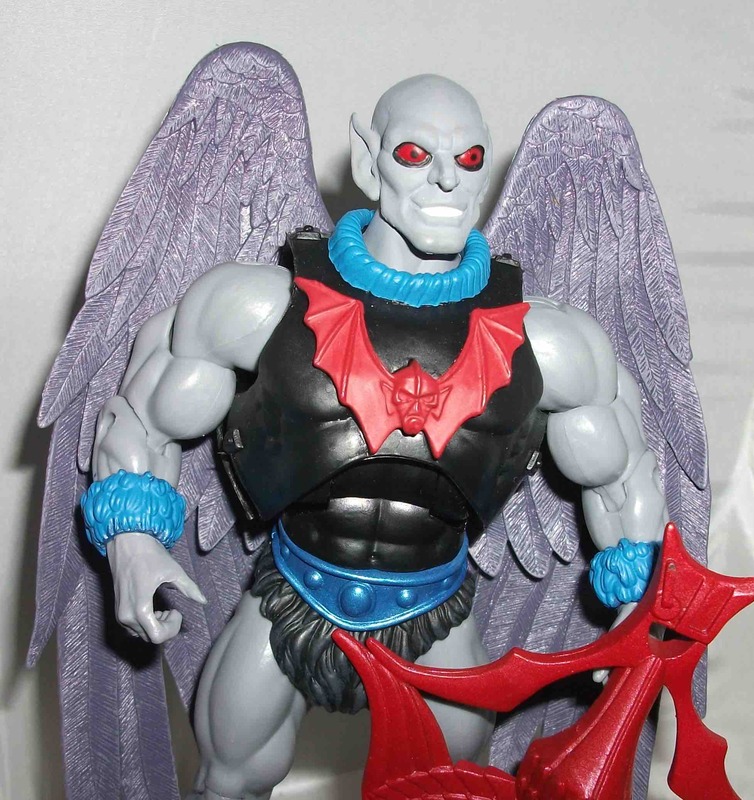 The paint apps are beautiful with crisp white paint on the torso, metallic red on the logo, and a few bright blue highlights all on greyish-black base. Everything about this figure is awesome. Some extra hands or an unmasked head might’ve been nice (the only accessory he came with was a build-a-figure Sandman arm) but who needs accessories with a figure this good. 10 out of 10. 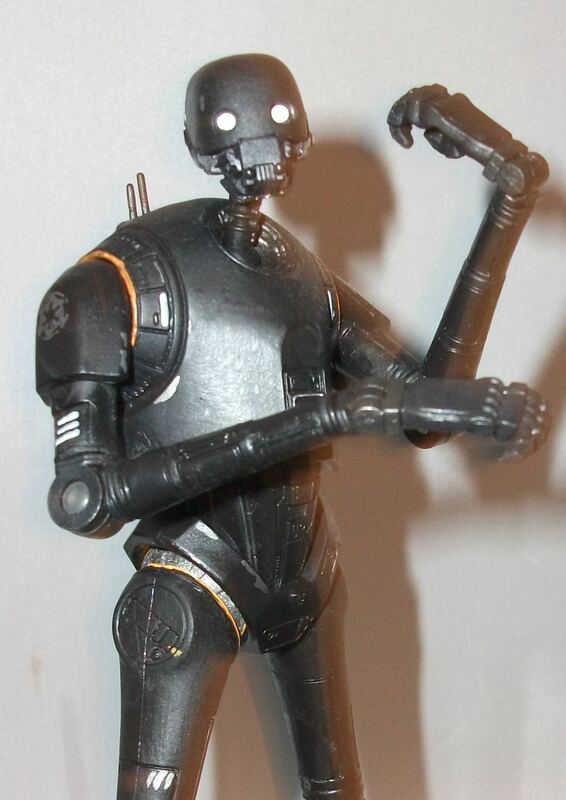 Back on October 15 I reviewed the 6” Star Wars Black Series K-2SO figure from Hasbro. At that point “Rogue One: A Star Wars Story” hadn’t been released yet. I bought the figure only because it looked cool because back then I had no idea what the character would actually be like on screen. Had he ended up being completely obnoxious it’s very unlikely that I would have placed him on my best of 2016 list but fortunately Rogue One was fantastic and K-2SO was awesome. There were plenty of cool new characters introduced in Rogue One and I’m looking forward to getting action figures of most of them. When I bought K-2SO I also picked up Jyn Erso and a Death Trooper. I passed on Cassian Andor but I will definitely get one eventually as Deigo Luna was an excellent addition to the Star Wars cast. The Jyn figure features a decent likeness to actress Felicity Jones and it’s a fine toy as far as paint applications and articulation go but ultimately it’s just a regular human figure (I’m more of an aliens and robots guy). 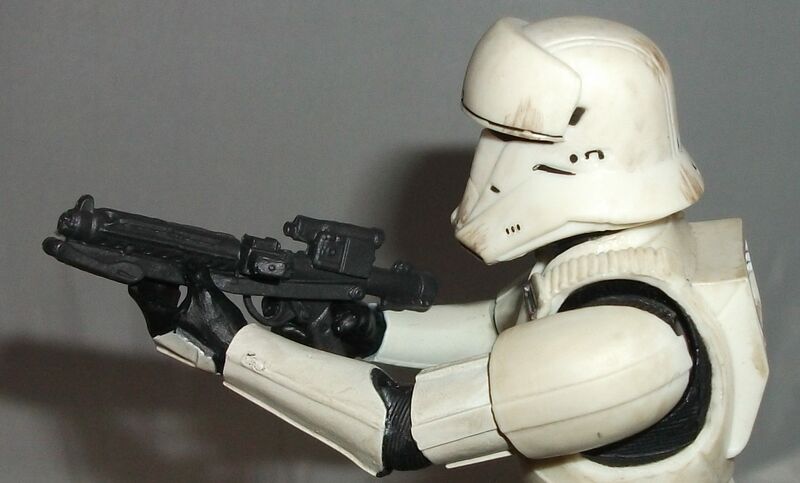 I expected to love the Death Trooper, it was the figure I was most looking forward to getting leading up to the film’s release, but once in hand it failed to wow me. I found the Death Trooper to be a tad too lanky to be menacing; he looks like K-2SO dressed as a Stormtrooper. 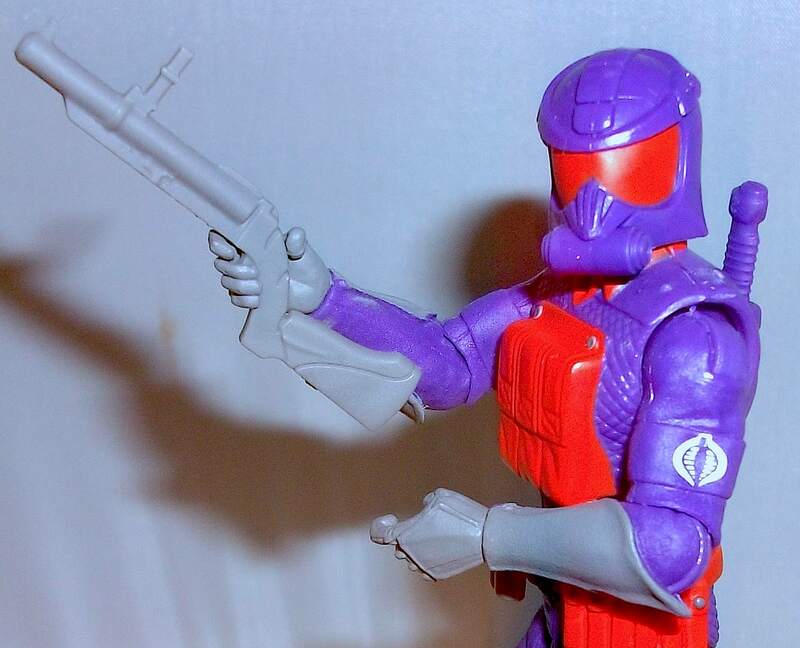 The Scarif Stormtrooper (or Shore Trooper) which I have yet to find looks to be another interesting trooper variation but, again, it’s not one I’m super excited about. The armor appears to be more yellow than white and there are too many other random colors thrown in which results in a costume design that looks muddled to me. Rogue One was a great flick but it didn’t seem as though it would be providing me with any Imperial figures worth calling home about. The other day I was in Toys R Us hoping to find the new Megatron figure that I didn’t get for Christmas (Doug got me Astrotrain instead so I’m not complaining). I didn’t manage to find Megs but I did come across this Toys R Us exclusive Rogue One Hover Tank Pilot. 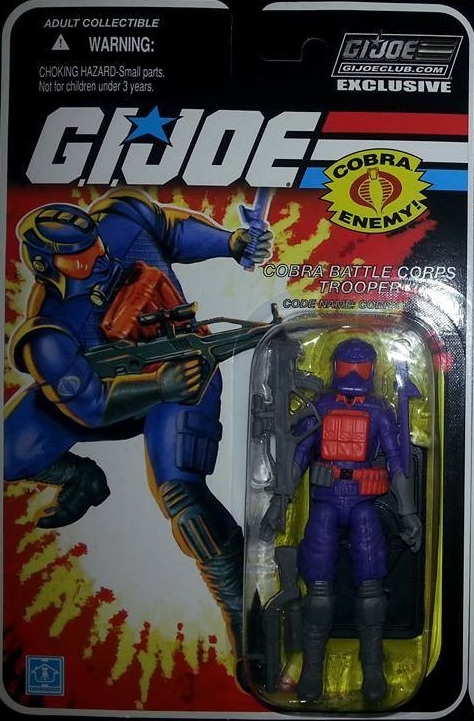 At first glance I thought this was the Shore Trooper because they share some colour and design elements. I didn’t even know this pilot figure was being released so it wasn’t on my radar but I snatched it up on impulse. 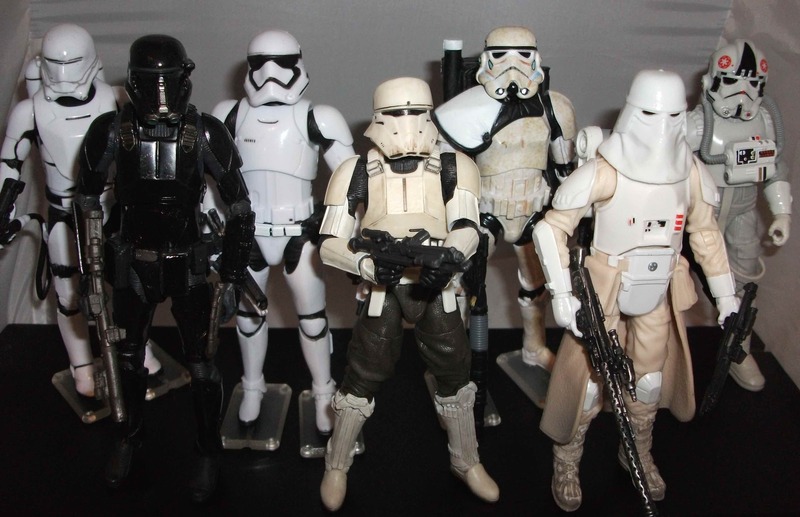 I’m a sucker for any Imperial trooper even the mediocre ones. I don’t recall seeing these pilots in the movie but apparently they were driving the patrol tanks in the scenes set on Jedah. I’ll be sure to watch for them on my second viewing. 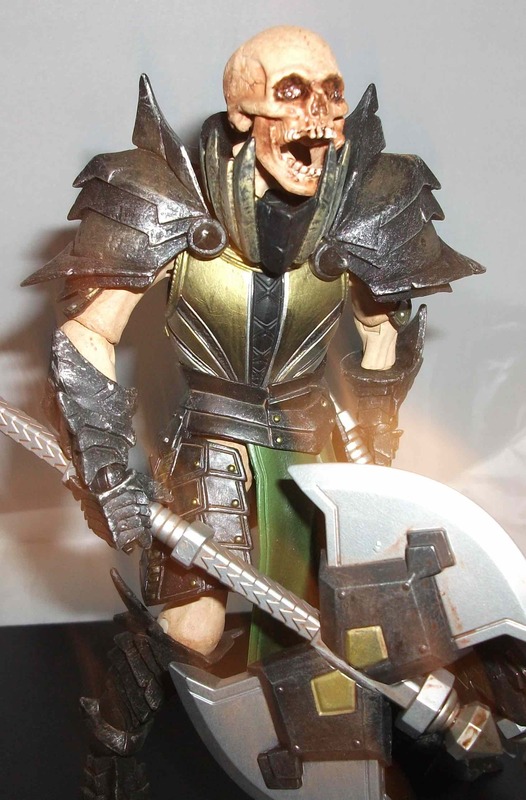 I didn’t examine this figure closely until I got him home and unboxed. I expected just another moderately cool new twist on the classic Stormtrooper akin to the First Order Flametrooper or Death Trooper. 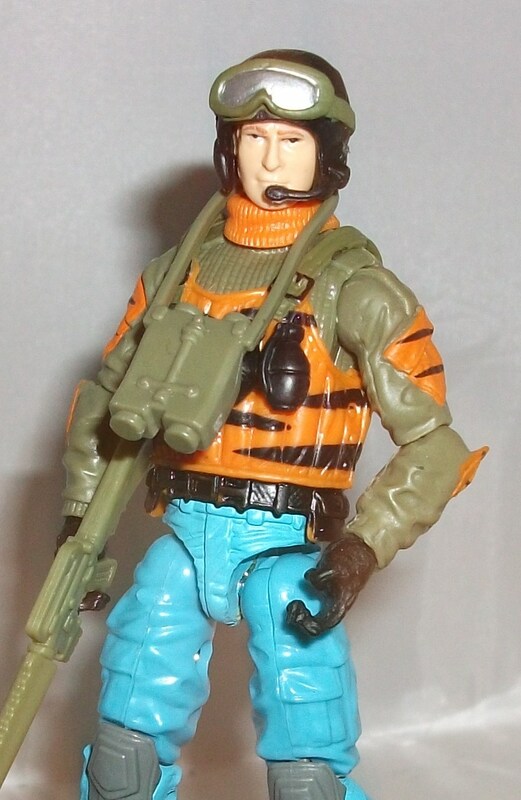 Imagine my surprise when I was completely smitten with the Hover Tank Pilot once I had him in hand. I don’t know why exactly but this figure is just super cool. 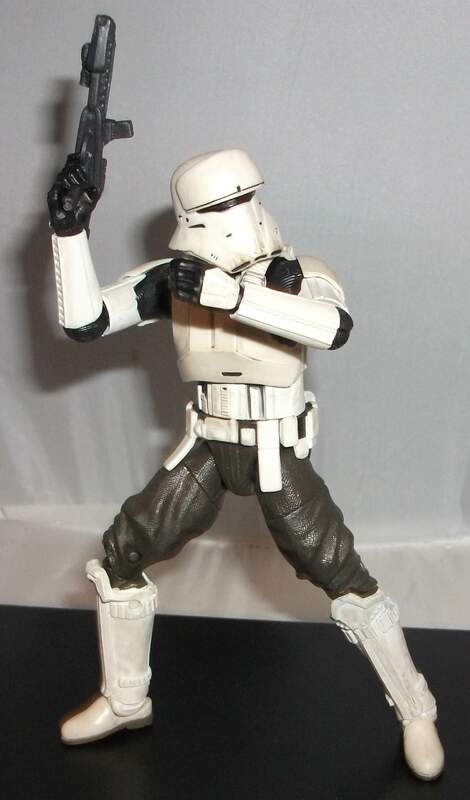 He’s similar to many other Imperial troopers but he’s just unique enough to stand out from the pack. 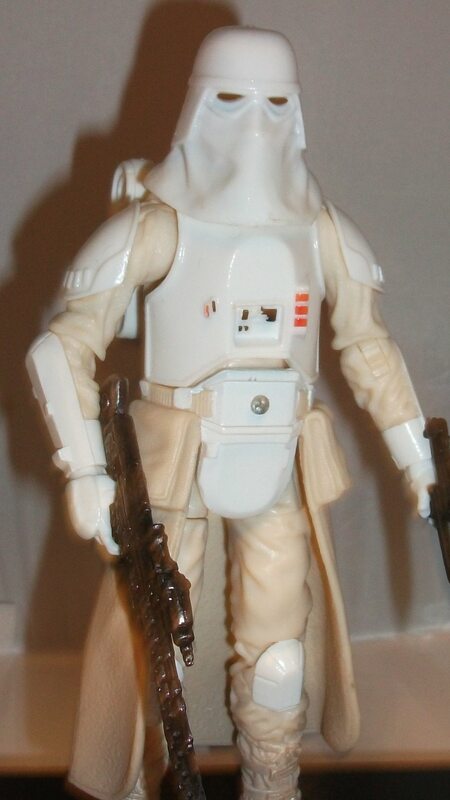 I love the armor, especially the helmet (which reminds me of the First Order Flametrooper and Snowtrooper but better), but what I think I like most about the design is the lack of armor on his lower half. The fact that he’s just wearing brown pants is a refreshing change. It makes sense that a dude squeezed into the cockpit of a hot tank would choose something a little more comfortable than full body armor. Where the classic Stormtroopers and the Death Troopers are sleek and clean this guy is wrinkly and dirty with some neat details sculpted into his armor. A brown paint wash adds age and weathering to the armor and gives him that “lived in” look that Star Wars prides itself on. The Hover Tank Pilot is rather diminutive when compared to other Imperial Trooper figures which is a little odd because Leia made it clear in A New Hope that Storm Troopers are usually men of greater stature. However, I’ve theorized that the Empire probably assigns it’s shorter recruits to pilot the cramped vehicles. I actually like that he’s short because it gives him a little more personality. I imagine he’s feistier than most other troopers. 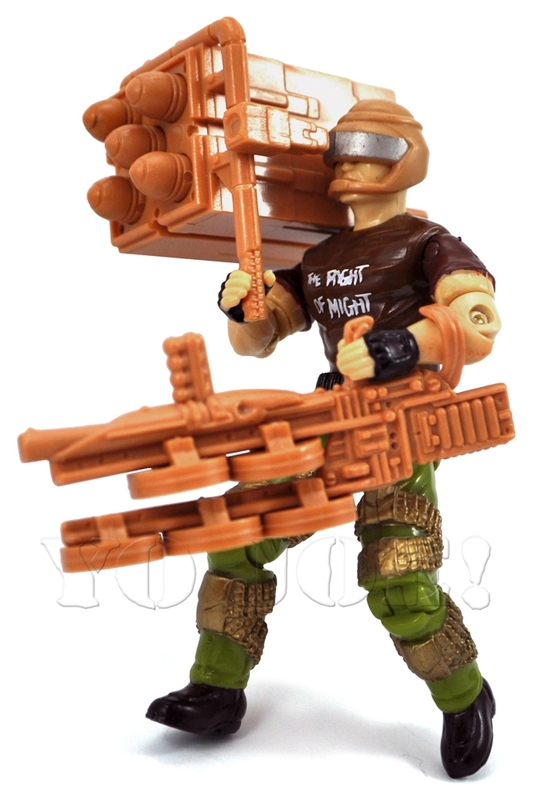 For accessories the Hover Tank Pilot includes only a standard issue blaster which is all he really needs. I don’t like that he costs $5 more than the other Black Series figures only because he’s a store exclusive but otherwise I have zero complaints about this great figure. 10 out of 10.